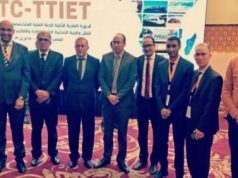 Rabat - As soon as the resolution on the Western Sahara was submitted “in blue” to the secretariat of the Security Council on Thursday morning, the Polisario Front decided to withdraw its forces from the region of Gueguerat, according to Moroccan media reports. Rabat – As soon as the resolution on the Western Sahara was submitted “in blue” to the secretariat of the Security Council on Thursday morning, the Polisario Front decided to withdraw its forces from the region of Gueguerat, according to Moroccan media reports. 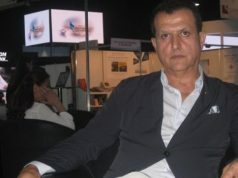 The resolution called in clear terms on the Algeria-backed Polisario to unconditionally withdraw from Guerguerat, which for the past few months has been a point of extreme tension between the separatist force and Morocco. According to the blue text, Polisario was given 30 days to abide by the provisions of the resolution. In the event it refuses to withdraw from the Gueguerat region, the Security Council will decide on ways to compel it to do so. 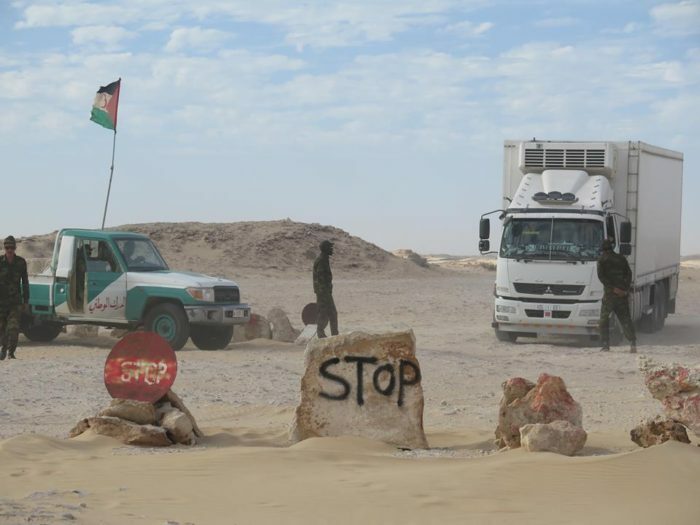 Polisario militias have begun to pull away from their illegal checkpoints in Kandahar, but they remain in the buffer zone. 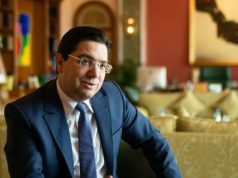 During the Security Council’s closed-door meeting on Thursday, the United States pushed for the adoption of a very pro-Morocco resolution, sources from inside the UN acquainted with the matter told Morocco World News. The 15-member body held the meeting to discuss the final language of the resolution. It was submitted “in blue” – meaning ready for adoption – to the secretariat of the Security Council. But according to our sources in New York, new developments may warrant revision of the text and a vote has not been scheduled. It is unclear whether the body will adopt the resolution tomorrow or later this weekend. The resolution reflects the concern expressed by the United Nations Secretary General, Antonio Guterres, regarding the situation in the region. In his first annual report on the the Western Sahara, the UN chief called on the Security Council to urge the Polisario to withdraw from the Gueguerat region. The resolution calls unequivocally on the Polisario to respect the provisions of the 1991 ceasefire agreement and withdraw from the Gueguerat region without conditions. 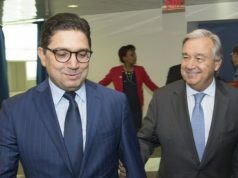 In February, Guterres urged the Polisario to withdraw from the region. 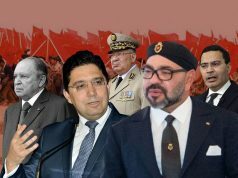 However, photos and videos which since emerged from the areas have showed that the Polisario militias continued to flout the UN’s decision by not extracting its militias, and who threaten human life, disturb trade, and violate the 1991 cease-fire agreement. The vote for the final resolution will take place 5 PM eastern time.